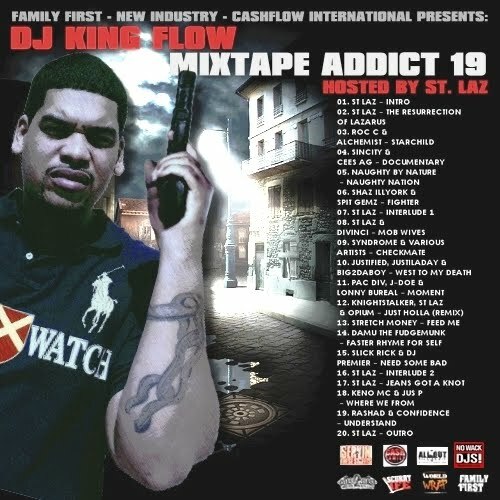 @STLaz hosts DJ King flows new mixtape titled Mixtape Addict 19. The mixtape features the street smash St Laz - Jeans Got A Knot produced by @itsKOTIC as well as records by the Alchemist, Slick Rick, Naughty By Nature Plus more. Download Links available below.